At Microbe, partners are a valuable asset. We don't consider our partners an outlet for selling products, but a part of the Microbe team. Around the world our partners work together to give customers the best experience possible in buying and using our products. In short ?our partners define who we are. To give our partners every advantage possible, Microbe provides unique knowledge regarding computer security with all of our Microbe partners. Microbe also strives to actively develop and maintain a personal relationship with each of our partners, and to ensure that they are always informed of our development roadmap and long-term company goals. 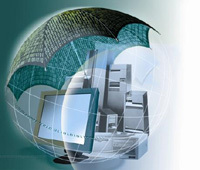 Kaspersky is firmly recognized as a technological leader in antivirus protection. Microbe clearly understand that for us to succeed in selling their highly-acclaimed products, our partners must also succeed. Therefore, in addition to attractive discounts, we provide extensive training opportunities and marketing support for partners. If you are interested in finding out more about becoming one of our resellers, please fill out the following form. Your application will be treated in the strictest confidence. By submitting this form you agree to be bound by all the terms and conditions outlined in this document. Once approved and accepted, this application becomes the reseller contract between Microbe New Zealand Ltd, (the Kaspersky Partner), and the organisation listed under the section “Organisation Details? (The Kaspersky Reseller for Microbe New Zealand Ltd).